Product prices and availability are accurate as of 2019-04-20 20:39:18 EDT and are subject to change. Any price and availability information displayed on http://www.amazon.com/ at the time of purchase will apply to the purchase of this product. Vitamins, amino acids, enzymes and other advanced ingredients gently exfoliate to create a healthy glow.
? Pumpkin wine – produced by fermenting whole pumpkin, this ingredient offers the nutritional benefits of pumpkin, including vitamin A and vitamin C.
? Aminoguanidine – an ingredient that supports skin, keeping it soft and supple.
? Lactic acid – naturally found in milk and sugars, this ingredient moisturizes the skin. After cleansing, moisten a cotton pad with a small amount and apply in upward and outward strokes over the face and neck. It may be used once daily or as needed. 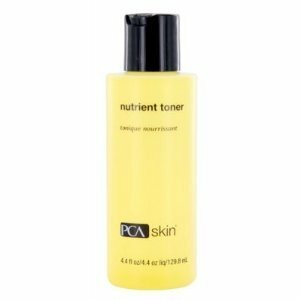 Follow with any additional appropriate PCA SKIN corrective products and broad spectrum SPF product in the daytime, and moisturizer in the evening.